TXG’s Sports Unisex Compression Socks are designed for athletes and sports enthusiasts. 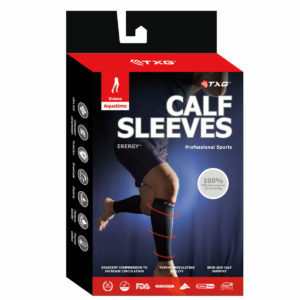 They have been developed with the optimal amount of compression to increase the flow of oxygenated blood and enhance athletes’ performance and recovery. The soles have extra padding for shock absorption and our unique patented X-pattern design provides strong yet comfortable protection for the ankle area – simulating the benefits of strapping the ankle without the tape. Coolmax is a high-performance fabric that comprises an effective fibre-based moisture management system and with a unique twill weave provides a high level of breathability and comfort. TXG Compression Calf Sleeves provide calf support and help prevent fatigue. You get performance-enhancing compression while still being able to wear your favourite socks or team uniform. 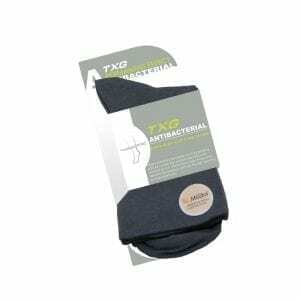 TXG Compression Arm Sleeves keep your arm muscles compact while regulating temperature enable you to gain more power from your arms and to help prevent fatigue. Arm sleeves are becoming increasingly popular with athletes active in Basketball, Hockey, Netball, Tennis, Squash, Cycling and other vigorous sports.